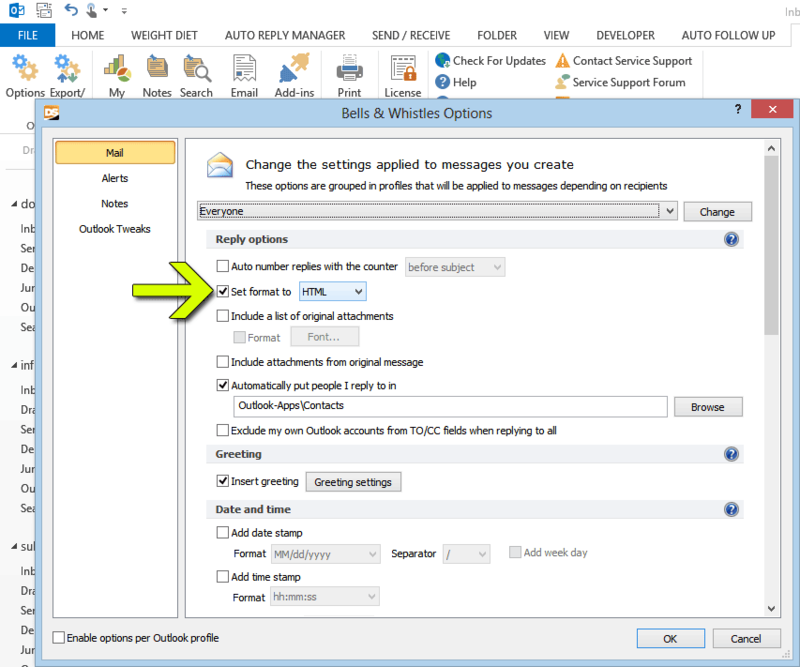 Bells & Whistles includes an impressive set of convenience features for Outlook that allows you to better configure the way you handle emails. Among these features, there is the ability to make Outlook always use the HTML format when it replies or forwards an email. Once the above option is enabled, Outlook will automatically switch to the HTML format for all your emails, no matter if you send a new email, reply or forward. What Outlook version do you use? Did you enable the Bells option to automatically format the emails as html / plain text?